In today’s guide we will be covering golf hybrids to help you decide if adding hybrid clubs to your golf bag in place of irons or fairway woods is the right decision. 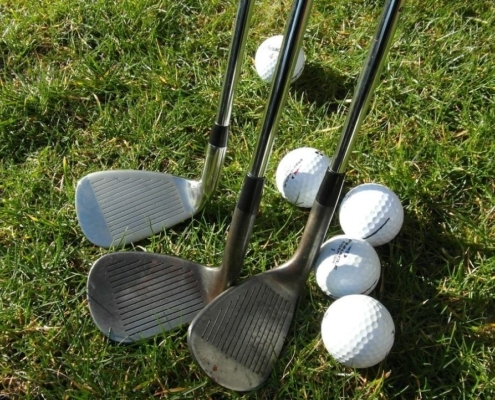 Hybrid golf clubs got their name because they act as a “hybrid” mixing in some features of both irons and woods to help golfers who struggle hitting longer shaft length golf clubs, consistently. While many golfers tend to favor fairway woods over long irons due to their larger sweet spot on the face, the longer shaft and heavier shaft of a fairway wood can be difficult to master. Hybrids provide similar club head size and shaping as fairway woods to give golfers that added sweet spot confidence while mixing in similar shaft length and weight as irons to help hit shots with easier control than woods. If you’re curious about which hybrids replace which irons and what the cost of these golf clubs are, don’t worry we’ve got all those answers coming in today’s guide! Let’s first dive into the design of the hybrid golf club so you can learn the different components and then we will review some of the most frequently asked questions when buying a new hybrid golf club set. The grip is essential for holding onto the hybrid club and it can come in many different styles and colors depending on the club manufacturer. Picking a grip that feels comfortable in your hands is important for hitting your best shots with the hybrid. Keep in mind your playing conditions as well when choosing a custom grip. If the environment is hot and sweaty often consider a stickier grip that holds up with moisture. Same goes for rainy environments if you’re going to be playing in the rain occasionally. 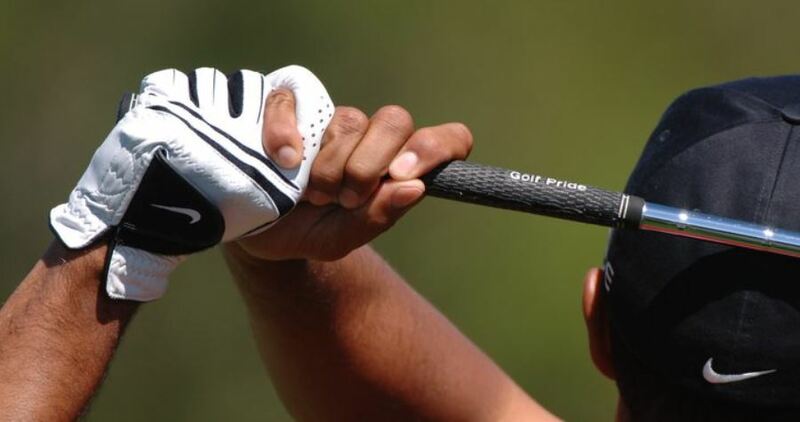 A golf glove can also help you grip the hybrid better too. The shaft length on a hybrid is similar to that of an iron. This gives golfers more feel and control by playing a shorter length golf club as compared to the fairway wood which has a longer shaft. For example, a 5 wood might have a 42 inch long shaft while the 5 hybrid may have a 39 inch shaft. Shaft thickness is comparable to an iron and about 1/16 of an inch thicker than a fairway wood at the point where it enters the hosel. According to GolfWeek, this helps the hybrid twist less at impact which can result in straighter golf shots. One of the key reasons golfers tend to find hybrids hitting straighter, easier shots compared to woods. Shaft weight is also lighter on a hybrid as compared to a fairway wood. This can help golfers swing the hybrid club faster to generate better club head speeds and with more control. The hosel is where the shaft connects into the clubhead. Unlike fairway woods, most hybrid golf clubs do not have adjustable hosels. This means you won’t be able to adjust the loft or settings to account for draw & fade swing bias. Instead hybrids have standard loft angles so you may want to consider adding a couple hybrids to the bag with different loft angles to cover different distance gaps between your driver and your irons. However, recent club designs are starting to add adjustability to hybrids by adding adjustable weights that can be swapped out to manipulate the center of gravity and launch angle of your golf shots. Expect adjustable hosel golf clubs to cost more than the standard set lie clubs. 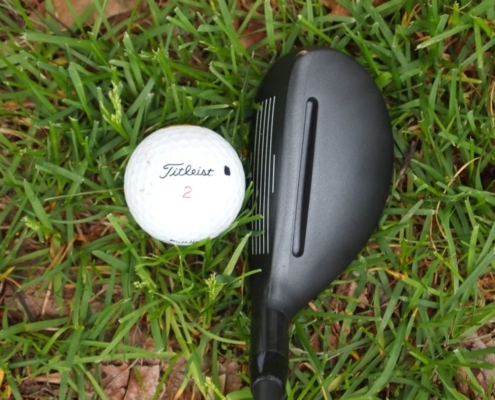 The clubhead of a hybrid is usually less volume (measured in CC’s) and less in overall size compared with a fairway wood but still features a rounded head shape like a wood. 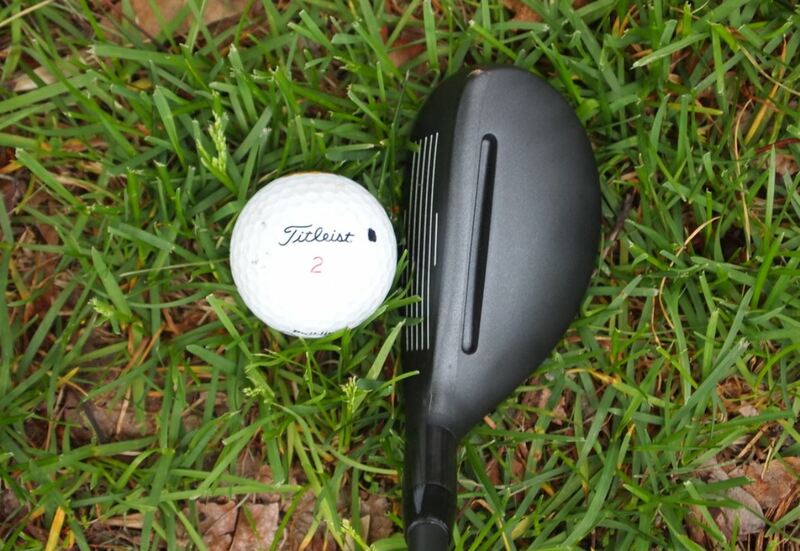 The face on a hybrid is flat like an iron making it easier to hit the ball squarely. But it’s also a harder face like a wood which can help produce longer potential golf shots, even for slower golf swings. The most noticeable feature on a hybrid is that its sole is much wider as compared to a skinny bladed iron. It’s about as wide as the sole of a fairway wood. This helps beginners make better contact and adds confidence because it feels like you’re playing a wood but you still get the loft of an iron. So what is the sole? The sole is the underneath side of the club head. If you picture the bottom of an iron, the width after the club face is only another inch or two making it a skinny club head in terms of width. But if you look at the bottom of a fairway wood or hybrid, there is lots of extra clubhead that extends after the face and it rounds out in shape like a driver. If you’ve ever wondered why a hybrid seems to launch the ball with higher ball flight trajectory compared to a fairway wood or iron from the rough and fairway lies, it’s due to the center of gravity placement in the club head. In a hybrid the center of gravity is lower towards the bottom of the club and back deeper in the clubhead. This gives them that higher, softer flight and also helps them be more forgiving to keep shots from curving off line as severe. What is the best hybrid club for a beginner? 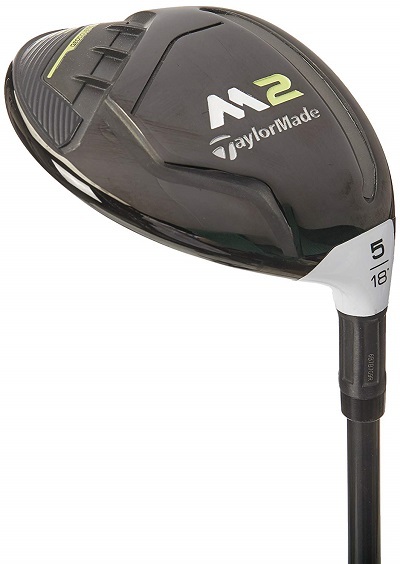 hybrids for beginners despite TaylorMade releasing new series of clubs like the M4 and the M6. It’s also very affordable compared to the newest hybrids on the market. 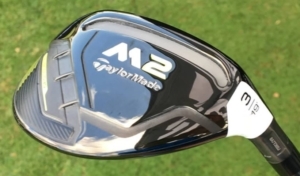 A feature you may enjoy about the M2 Hybrid is its versatility for hitting out of deep rough. The face is designed similar to an iron with slanted face for giving the golf ball higher trajectory as compared to a wood which tends to have a flat face resulting in low ball flight. The 3 hybrid starts at 19 degrees loft and the 4 hybrid at 22 degrees loft. TaylorMade is known as one of the best wood/driver/hybrid manufacturers so you’re getting a quality golf club at a great price. 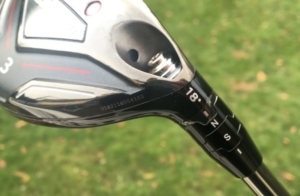 What degree hybrid replaces a 4 iron? Depending on the club manufacturer a 4-iron could have a loft between 25 to 28 degrees with most being 25 degrees. This would be equivalent to a 4 hybrid and in some cases a 3 hybrid if you were to replace your 4-iron with a hybrid golf club. Check the club manufacturer specs that list all the loft degrees of each of their hybrids and match the one that is similar to the loft of your 4 iron. What is easier to hit a fairway wood or hybrid? It depends on the golfer but most golfers find that the hybrid is easier to hit than the fairway wood. 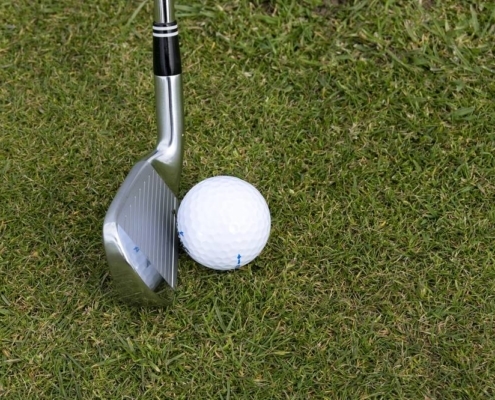 They find it has better control and more forgiving to keep the ball flying straighter. A fairway wood tends to have a larger club head than the hybrid but the hybrid can generate better backspin and higher ball flight trajectory making it ideal when you’re in the rough or hazard. 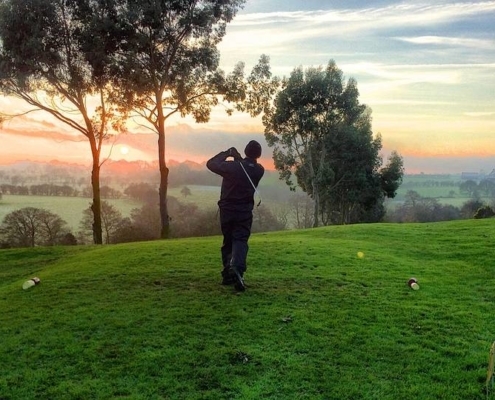 These conditions are more difficult to successfully hit a fairway wood so it’s recommended to carry both in your bag so you can choose based on your lie and difficulty of the shot. Fairway woods are a great option from tight, clean lies like the center of the fairway. Do pro golfers use hybrids? Yes. There are many golfers on the PGA, LPGA, and Web.com tours who have switched out longer irons and fairway woods for hybrid golf clubs. Most common is the 2 iron and 3 iron that get replaced for a hybrid club, but some golfers like Tiger Woods and Justin Thomas still choose to play the 2-iron or 3-iron. 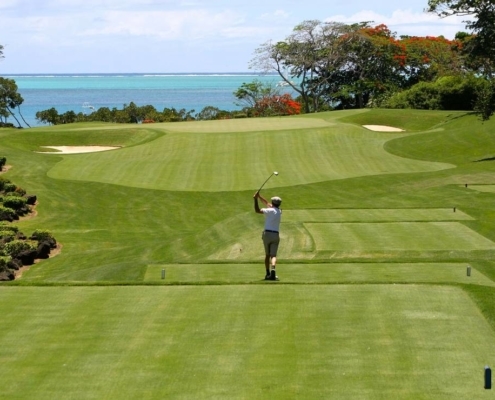 It really comes down to preference for each individual golfer and knowing their strengths and weaknesses. If professional golfers are playing tougher golf courses with very thick roughs (like the U.S. Open) they may find hybrid clubs easier to hit and add them to their bag for the week. 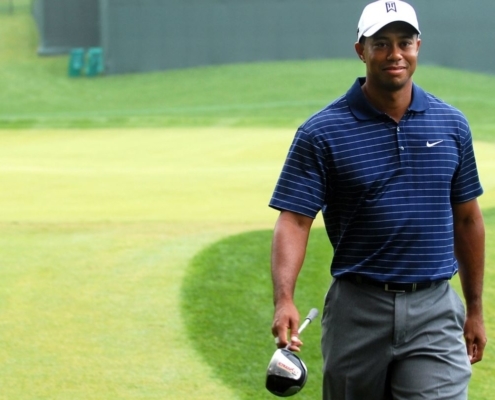 What’s the difference between a 3 wood and a 3 hybrid? This difference in loft will result in a difference in performance. The 3 wood will hit the golf ball further when struck with great contact and is better suited when you have a clean lie to hit from. 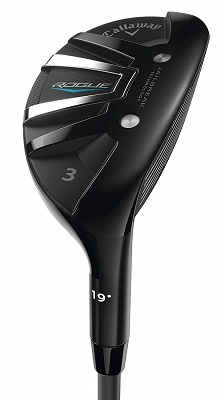 The 3 hybrid won’t go as far as the 3 wood but may hit the ball with better accuracy from different types of conditions (rough, sand, fairway, hazards) due to its beginner friendly design. What’s the difference between a 3 hybrid and a 3 iron? A 3-hybrid is designed to replace a 3-iron since it has a wider sole and this makes it easier to get forgiveness when the club hits the ground. 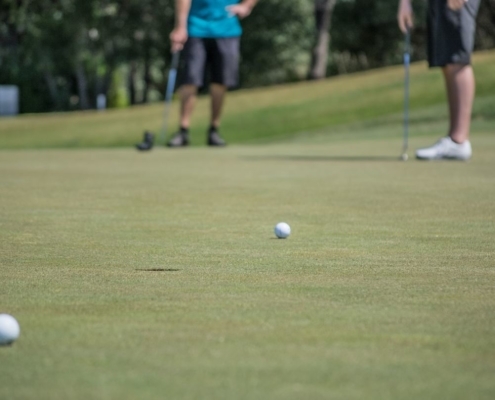 Irons tend to have thinner soles and therefore are more prone to digging into the turf if you have a steep angle of attack into the golf ball. In other words, irons will leave bigger divots compared to hybrids. The 3 hybrid’s wider sole gives it more bounce so it is less likely to dig and this helps beginners make better contact with the golf ball. Are Hybrid Golf Clubs Expensive? If you are looking at hybrids from more popular brands like TaylorMade, Titleist, Callaway then you can expect to spend more money as opposed to lesser known brand names. If brand name doesn’t matter to you, then you can find individual hybrid clubs for as low as $30-$40. Most popular golf brand name hybrids range from $99 to $199 for one hybrid club. If you plan to buy a few different hybrids to replace different lofted irons, then expect to budget a few hundred dollars. This is still fairly cheap compared to drivers and fairway woods which can run $300 to $600 for one golf club! You can also shop used hybrids or older model hybrids to find them at a reduced price. For example, buying a 2016 Titleist Hybrid is going to be much less expensive than trying to add a new 2019 Titleist Hybrid to your golf bag. How Far Should I Hit a 4 Hybrid? Average Distance? For male golfers, the average distance for a 4 hybrid is around 180 to 200 yards which is also the similar distance golfers would hit their 4 iron. Female golfers could expect an average distance between 130-160 yards with a 4 hybrid. These are averages however, so your results may vary but can give you an idea as a starting point. This allows you to check your ball striking to see if you’re losing distance from not hitting center of the face well enough. After reading today’s guide on hybrid golf clubs you now have a better understanding of all the different components that make up the hybrid club. The grip that comes standard on most hybrids is suitable for the average player but you can always change out the grip with your own custom grip that best fits your hands. The shaft is shorter and lighter to help you swing with more control like with irons. The hosel is not usually adjustable so pick lofts that relate to distances you face most often on the golf course. We also shared how hybrids differ from fairway woods and irons and why golfers choose to replace these clubs in their golf bag with hybrids. The biggest differences are club head design and face design to help hybrids launch the ball higher while helping it hit the ball squarely to give beginners more control on longer distance golf shots. It can be easy to spray woods and long irons all over the golf course when facing shots beyond 175 yards away from the green. We hope that choosing one or multiple hybrids for your golf bag can help make a difference in your golf game and lead you to scoring lower.